Deus Ex: Mankind Divided star Adam Jensen will follow in the footsteps of Hitman‘s Agent 47 and Tomb Raider‘s Lara Croft this summer with the launch of Deus Ex Go, a mobile puzzler that reimagines the Deus Ex universe in the context of a turn-based virtual board game. Publisher Square Enix also announced the launch of The Go Collection, a digital compilation that bundles all of its puzzler series releases in a value-priced package. 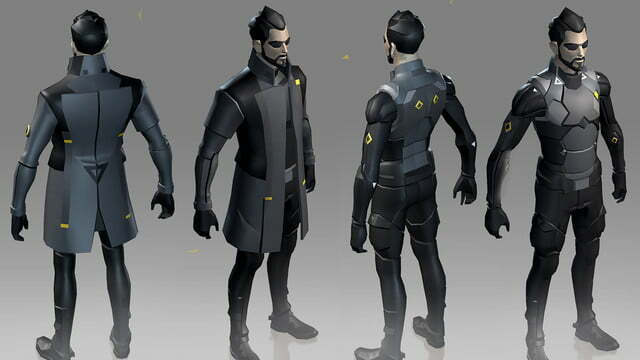 In Deus Ex Go, players guide mechanically augmented protagonist Adam Jensen across a series of dangerous environments using a turn-based setup. 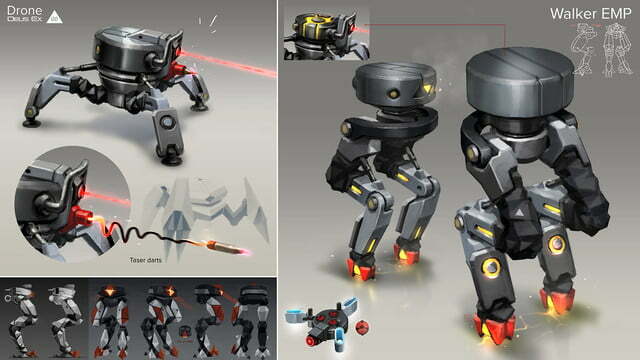 Jensen can use either stealth or lethal countermeasures to deal with patrolling enemies as he works his way toward each level’s exit. 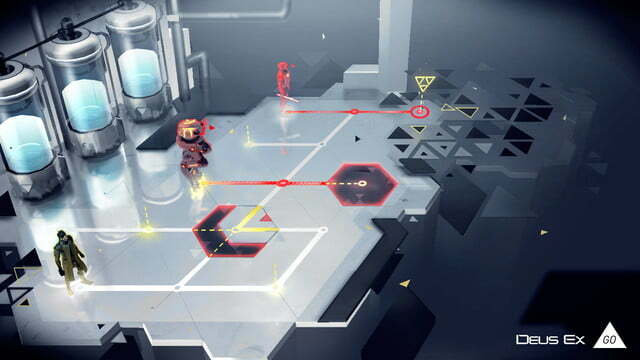 Deus Ex-specific mechanics like hacking and upgradable augmentations also play a role in solving many of the game’s trickier puzzles. As players progress through the game, they’ll gradually uncover the truth behind a terrorist plot with help from allies within Task Force 29 and the Juggernaut Collective. Patrick Naud, head of Go series creator Square Enix Montreal, revealed that the upcoming sequel will introduce a level editor, among other new features. 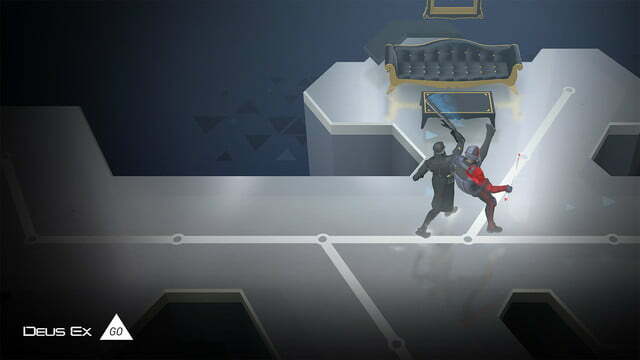 Deus Ex Go marks the Go series’ third entry over the last two years, with Hitman Go originally premiering in 2014. Hitman Go was well-received upon its launch, leading Square Enix to publish a port for the PlayStation 4 and PS Vita earlier this year. Square Enix hopes to drum up interest in the upcoming Deus Ex Go with this week’s launch of The Go Collection, an app bundle that collects the iOS versions of Hitman Go and Lara Croft Go. Normally priced at $8, The Go Collection will be available for $6 during its launch week. Deus Ex Go will hit Google Play and the iTunes App Store this summer.